Newport Beach, Calif. (12 April, 2017) – The 2017 Pirelli GT3 Cup Trophy USA championship will launch this weekend with a double-header race weekend at Thunderhill Raceway. 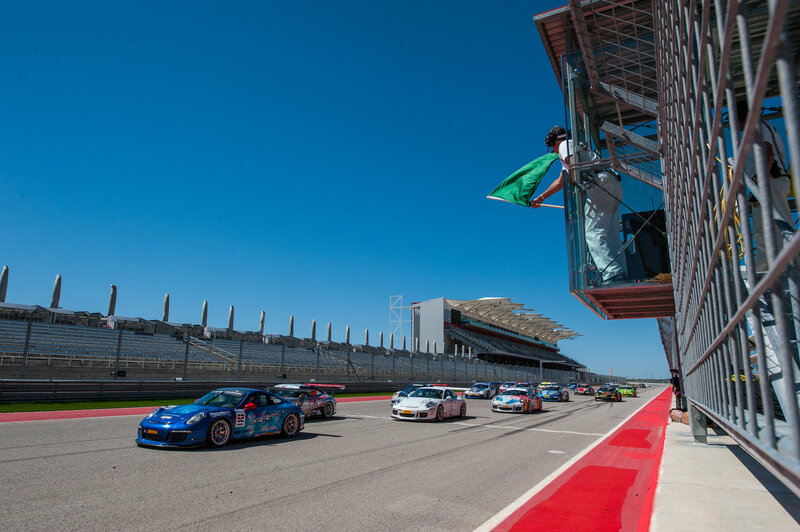 The event is the first of eight race weekends that will see the all-Porsche category visit some of North America’s best tracks, including Sonoma Raceway, Utah Motorsports Campus, Mazda Raceway Laguna Seca, Circuit of the Americas, and Road America. Entering its 11th season under the management of Competent Motorsport, Pirelli GT3 Cup Trophy USA will once again boast a 33-car field that includes a deep roster of talented racers. Three different classes—Diamond (2014-2016 Porsche GT3 Cup), Platinum (2010-2013 Porsche GT3 Cup), and Silver (Cayman GT4 Cup) as well as Masters classes in Diamond and Silver are slated to share the 2.866-mile circuit in Northern California. While the drivers and teams have tested and tuned to be prepared for the 2017 championship, Competent Motorsport has also completed an off-season strengthening of staff. Steven Costello has been named Series Director, with Randy Buck joining the program to manage the on-track activity. Returning to the series is Craig Stanton, who brings his extensive experience and instructing ability to his role as series coach, available to the entire field of racers. The Thunderhill event will open with practice on Friday. Saturday and Sunday will each feature two complete race days comprised of practice, qualifying, and a forty-minute race. The Thunderhill event kicks off with practice on Friday, April 14. This entry was posted in News on April 12, 2017 by admin.